Learn how to accent an unpainted wood letter with washi tape – and how to seal it! 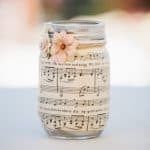 Makes for simple and easy home decor that anyone can do. There is beauty in simplicity. I know, I'm very deep and wise for saying that. But seriously – I notice that the projects that get the most attention on this blog are the simplest ones! It makes sense though, because we all want ideas that are easy to do and look great. Well, this is one of those ideas. Molly from CraftCuts is our guest poster today. 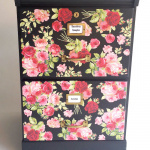 I love this idea because you can add any style washi tape you like – perhaps holiday if you want seasonal? Check her project out below. Hi! 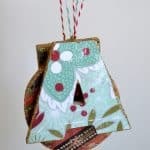 This is Molly from CraftCuts and today I am sharing how to make this simple washi tape accent letter. I love the natural look of our unpainted wood letters but needed something to conceal the raw edges. Instead of painting them I decided to jazz them up with washi tape! I even found a classic grey and white diagonal striped one to go with my shabby decor. Use a wood letter, washi tape and Mod Podge to create a sophisticated custom monogram. This is a pretty clean project but you may want to put some newspaper down to protect your work surface from the Mod Podge. Apply the washi tape to the edge of the letter. Apply the washi tape to the edge of the letter. The tape will be slightly wider than the letter so you will want to make it flush with the face of the letter leaving the excess tape towards the backside. Once all the edges of the letter are covered with the Washi Tape, place the letter face down and press the excess tape onto the the backside of the letter. 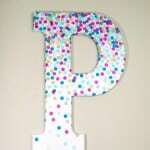 Apply Mod Podge to the face, sides and back edges of the letter. 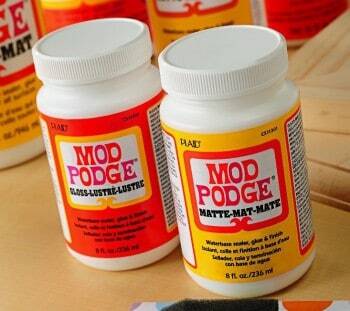 Use the Mod Podge to coat the face, sides and back edge of the letter. This will lock the washi tape into place and give the letter a clean glossy finish. Allow to dry for 15-20 minutes. Your washi tape accent letter is now complete: display and enjoy! 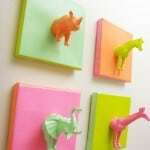 Don't forget to visit CraftCuts on Facebook, Twitter and Pinterest for more project ideas.